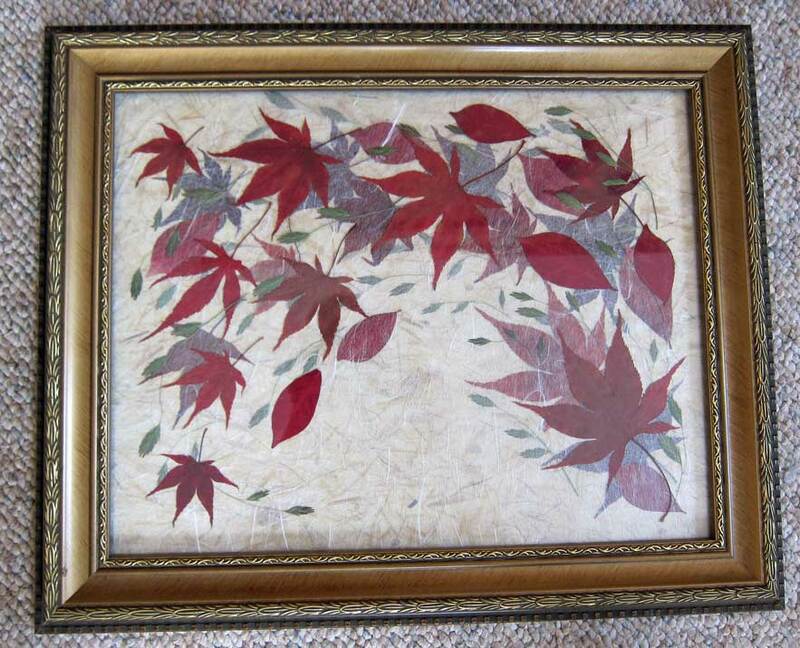 "Dancing Leaves" is 11" x 14" and shows my vision of Fall in Western New York. 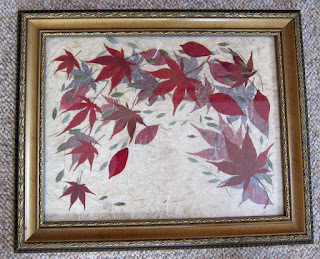 It features several layers of fall leaves and sea oats over a background of gold textured handmade paper and layers of Japanese Sanwa paper. This original piece was sold at the Christkindle Show in Canandaigua.